Fig. 4-3-2-1 shows the number of Boryokudan members, etc. 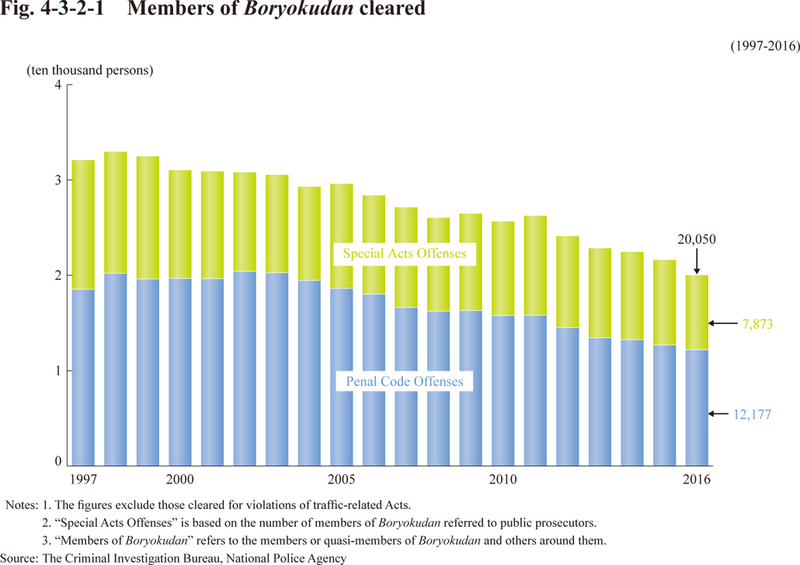 cleared for Non-traffic Penal Code Offenses and Special Acts Offenses (excluding violations of traffic-related Acts).